Wow! Last week Riley, my mother and I took the long six-hour drive to Las Vegas for a quick overnight visit to SuperZoo 2014. So what is SuperZoo? 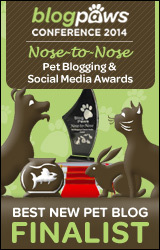 It’s the biggest pet retailer trade show on the west coast. This is our second year going, and yes, we plan on going next year too, but will definitely stay longer next year. Having went last year, I should have known better. With almost a thousand exhibitors, there is a lot of walking involved. So after a long six-hour drive, we arrived and hit the trade show floor! The trade show floor is split up into several categories, our favorite being the Nature’s Pathway. In this area you will find the best in holistic, organic and natural pet food and treats on the market. 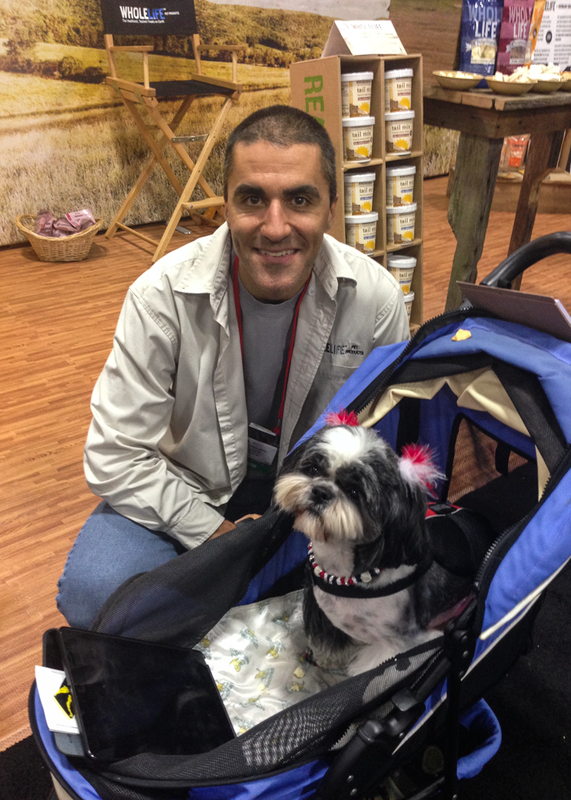 We met some great people from a lot of different companies, like John who is the founder of Whole Life Dog Treats! These treats are awesome and I’ll let you know more about them soon, but they are straight from “Farm-to-Friend Treats”! They were so tasty that I even sampled the Pure Cheddar Cheese Freeze-Dried treats… super yummy, and I’m a human! So I can only imagine how they taste to my pups! 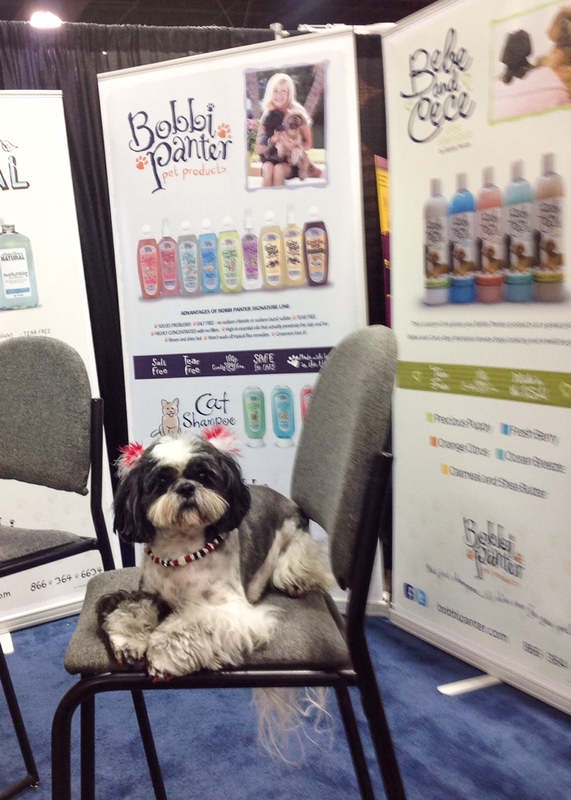 We also had a great time stopping by and visiting our wonderful friends at Bobbi Panter Pet Products! As you know we are huge fans! With sulfate free shampoos that are so moisturizing and luxurious, Bobbi Panter Products keep Riley’s coat soft, silky & shiny. And sometimes you never know who you will run into! We were so happy to catch up once again this year with Dr. Karen Becker! Dr. Becker’s family, which includes her parents, brother John and niece Blair, make a wonderful treat called Dr. Becker’s Bites. If you have never tried them or never heard of them, hold on to your horses as next week we will be reviewing them and will have a giveaway! 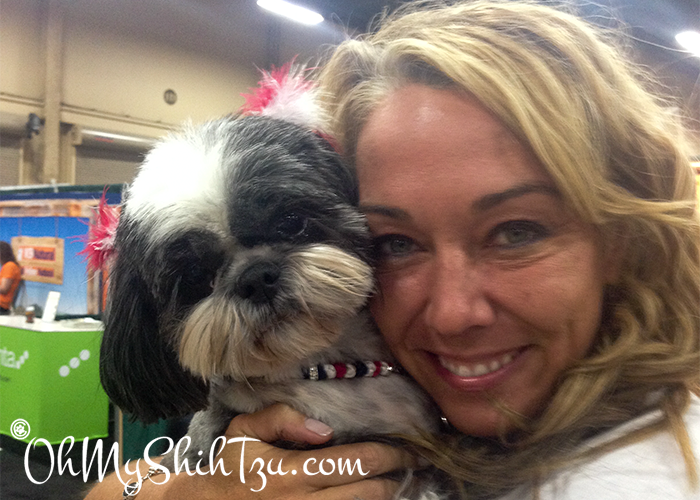 This was only a small recap of a few of people we ran into while at SuperZoo 2014. We were supposed to head out to BlogHer, but unfortunately we were too exhausted when we got back. The past few days has been filled with Rest & Relaxation, Shih Tzu Style! Be sure to visit us starting next Tuesday, August 5th as we begin our reviews of the wonderful foods and treats we came across at SuperZoo, including Dr. Becker’s Bites. We are so happy to be joining Snoopy for this weeks Monday Mischief! Be sure to see who else was up to mischief this past weekend below. Jackie Bouchard recently posted…Wordless Wednesday: Dream! That sounds like such a great event. I wish we had something like it over here on the East coast. I love Dr. Becker, but didn’t know that she made treats too. I’ll definitely be back to read your reviews. Awww, those little pom-poms on her ears are too cute! Where did you find them?! Chelsea Price recently posted…One Sloppy Eater! I wish we lived closer so I could attend SuperZoo. Maybe the Air Force will take us that way eventually. It looks awesome! So disappointed that we live so far from Super Zoo. It sounds like it’s amazing. Thanks for sharing and allowing some of us East Coast families an opportunity to see and hear details. Great post! Looks like it was a blast! Would have loved to have gone! I also want to go to BlogHer sometime, that is, if I am still blogging in 2015! Caren Gittleman recently posted…Book:Hearts of Gold By Elizabeth Parker–Enter to win! How neat, we love your nails! Can’t wait to hear about all the goodies! !